A screen grab shows the socio-political commentary website "Breakfast Network"
The Media Development Authority (MDA) has notified the owners of “Breakfast Network”, a Singapore-based socio-political commentary website, to register under the Broadcasting (Class Licence) Notification. In comments issued on Wednesday, MDA said as part of the registration, the owners have to undertake not to receive foreign funding for the provision, management or operation of the website. It said the site owners were notified on Tuesday. An individual publishing views on current affairs and trends on his personal website or blog does not amount to news reporting, the Media Development Authority said in a post on their Facebook page on Friday. "The licensing framework only applies to sites that focus on reporting Singapore news and are notified by MDA that they meet the licensing criteria," the media regulator added, in the wake of concerns that bloggers may fall under a licensing framework for news sites announced on Tuesday. The regulations are not an attempt to influence the editorial slant of news sites, the MDA added. Some in the online community have come out strongly to criticise the new ruling, and say it is a means to rein them in. In a historic move, the Singapore government is moving into the Internet to regulate news reporting by requiring – for a start – the 10 biggest news-sites to be licensed. From today, these websites must renew their registration every year if they want to continue to report on Singapore news and current affairs. Some observers believe that the principal target is the rising number of Singaporeans who post comments attached to, rather than, the news reports themselves. These public reactions and discussions are overwhelmingly anti-government. Reporters Without Borders is appalled to learn that Singapore’s leading news websites will have to apply to the city-state’s Media Development Authority (MDA) for a publishing licence. According to the MDA, which regulates the media, news websites with a Singaporean IP address and more than 50,000 visitors a month will have to obtain a licence from 1 June in order to continue operating. “While it is understandable that radio and TV stations should be licenced, because of the limited number of broadcast channels and the need to regulate frequencies, imposing a licencing system on news websites is utterly absurd and cannot be justified by a need for a ‘more consistent regulatory framework,’ as the MDA has suggested,” Reporters Without Borders said. My mother, when I told her about MDA's new online licencing scheme: "Gahmen so free ah? Why they don't do something more useful?" "I think it is important for us to ensure that they [ordinary Singaporeans] read the RIGHT thing…"
Siew Kum Hong says on Facebook about this quote from Yaacoob, "There will of course be claims that those who quote this sentence, are taking it out of context — because he goes on to say that "the right things" really means accurate reporting. To which I say — this quote probably betrays what the gahmen is truly seeking to achieve. And if the goal is to ensure that falsehoods and inaccuracies are not reported, then why not limit the power to order content removal to only the content that is false or inaccurate?" (3) Restrictions on the right to form associations conferred by clause (1)(c) may also be imposed by any law relating to labour or education. The rules take effect this weekend and will apply to 10 websites which regularly report on Singapore. Critics are concerned that the new rules may be aimed at stifling internet-based media, who are often critical of Singapore's government. MDA's Broadcast Act: What will it achieve? So what will happen after the 1st of June when the Broadcast Act comes into law? Well, not that much really. It is just a gesture that is painfully embarrassing for the Singaporean government because it just exposes just how ignorant and out of touch they are when it comes to news and the internet. I just get the feeling that the person who came up with this silly piece of ineffective legislation is a painfully old man/woman who is totally out of touch with modern technology. Here's the problem with politics - the people in charge tend to be rather on the old side, they're not young tech-savvy people under the age of 30. My 10 year old nephew knows far more about technology than my parents in their 70s - it is painful just how ignorant of technology my mother can be at times. She is afraid of composing a text message on a mobile phone because she is afraid she might 'break' the phone if she presses the wrong button. Groan - yes I tried telling her that the only way she could break the phone if dropped it down the stairs but there you go. Yes I know some older people are good with technology, but for those who are not, they should be humble enough to delegate this responsibility to others who can come up with intelligent, workable solutions. “This measure violates the principle of media freedom enshrined in article 19 of the International Covenant on Civil and Political Rights, which functions as an international standard for 160 countries even if Singapore has not signed it. The criteria used to define which sites need licenses are also highly questionable and are indicative of a desire to exercise prior control over news and information. INDIVIDUALS publishing views on current affairs and trends on personal websites or blogs are not subject to the licensing framework for news sites announced this week, the Media Development Authority (MDA) says. "The licensing framework only applies to sites that focus on reporting Singapore news and are notified by MDA that they meet the licensing criteria," MDA clarified in a post on its official Facebook page. "An individual publishing views on current affairs and trends on his/her personal website or blog does not amount to news reporting." The clarification is in response to online concerns that bloggers may be subject to the framework, which requires news sites with more than 50,000 unique visitors from Singapore a month over two months to be individually licensed from today. Such sites must also put up a performance bond of $50,000. Prominent Singapore activists and bloggers behind some popular independent websites on Thursday called on the government to withdraw a new licensing scheme to regulate major online news sites. Announced by the Media Development Authority (MDA) on Tuesday, the scheme will require 10 online news sites that report regularly on Singapore and have significant reach to obtain individual licences from 1 June. Under such a licence, the sites will have to put up a performance bond of S$50,000 and comply within 24 hours with any order by the media watchdog to take down objectionable content. The new licensing regime has the very real potential to reduce the channels available to Singaporeans to receive news and analysis of the sociopolitical situation in Singapore and it is in the interest of all Singaporeans to guard against the erosion of news channels that Singaporeans should rightfully have access to. The report also goes on to further say that, “Censorship is a restriction on personal freedoms, imposed by the government but reflecting the will of a substantial majority of the people. To be accepted as valid, it must be seen to fairly reflect widely-held sentiments. According to the survey commissioned as part of the review committee , it was found that the majority of Singaporeans – or 54% of respondents aged 15 and above had thought that the censorship classification was “just right” (this would be a majority of 43% when including “respondents who were unable to give a comment”) . A former member of Singapore's Parliament says the country's government is trying to censor the internet by requiring news websites to obtain licences. Lawyer, human rights activist and former Nominated Member of Parliament in Singapore, Siew Kum Hong, has told Radio Australia's Connect Asia program the government is clearly trying to censor the internet. – TRE: How is the Government going to censor SG online news? – The Blogfather: The MDA Licensing Issue – Can’t We All Just Get Along? – The Finance: Paying $50,000 license for TheFinance.sg? – Limpeh Is Foreign Talent: MDA’s Broadcast Act: What will it achieve? The surprise requirement, which takes effect on Saturday, triggered an outcry in the online community after a popular news site operated by US-based Yahoo! was included among 10 sites subject to licencing. The rest are all local mainstream news sites and there are fears among bloggers critical of the government that they could be targeted next. This is so dumb it took me a long time to figure out because I can't believe it could have gotten so low. The government is out of touch, a theme I have repeated many times in earlier posts. In fact the top civil servant is also out of touch. What can you expect when you wave a red flag at a bull. That's exactly what MDA had just done with its latest measures regulating websites. In short, they have not learned the communication lessons from the Pop. White Paper. Unless you have spent a lot of time engaging each other and know each other well most attempts at substantive communication begins with miscommunication. Then what about the OSC? I suggested months ago, it was never a true conversation (Link1, Link 2). Can't find when I have posted, but at one point I also suggested like they have done it many times under different banners, the OSC was just training for new political office holders. Therefore as you have your conversation with the government, they also sprung this surprise from the MDA on you. Websites that regularly report on Singapore including Yahoo! News will have to get a license from June 1, putting them on par with newspapers and television new outlets, in a move seen by some as a bid to rein in free-wheeling Internet news. 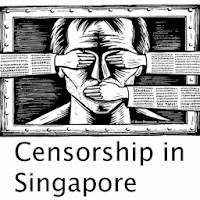 Lobby group Reporters Without Borders, in its latest report, ranked Singapore 149th globally in terms of press freedom, down 14 places from 2012 and below many of its neighbours. The MDA said the new regulation did not apply to blogs, though adding: "If they take on the nature of news sites, we will take a closer look and evaluate them accordingly". Less than day after the announcement by MDA of its new licensing regime for online news website, the government has made changes to the Broadcasting Act to cover potential loopholes. 1. content under sub-domains of a website will be considered as part of the domain of the website. WordPress is celebrating its 10th birthday and it’s wonderful. So is Blogger, I am sure, and Joomla and Drupal. There are reasons why websites are so popular. They can be our information storehouse, our communication platform, with daily updates, a searchable database, an email address, a mailing list and other goodies. But which is the most popular website today? Facebook, followed by Google and YouTube. Two of the three most popular websites are social networks. Twitter, ranked 13th, and LinkedIn (14th) are more popular than WordPress.com ( 24th), according to Alexa. Blogspot (11th) is still ahead, but it has been around much longer than the social networks. A Facebook Page is almost as good as a website. It’s free and there are no word limits unlike on Twitter. Not every minister and MP blogs, but almost everyone is on Facebook. Why? It’s a free and easy way to interact online. And Facebook Pages come with analytics. So anyone with a Facebook Page can check the traffic and what draws readers. Besides, one doesn’t have to worry about website security. It’s all on the house – of Facebook. Has anyone said that the new licensing scheme for news sites is a good move? Oh, yes, the Media Development Authority. Oh, no, it didn’t say it was a “good’’ move, just the “right’’ move to “place online news sites on a more consistent regulatory framework with traditional news platforms which are already individually licensed”. According to TODAY, the MDA spokesman said the move is “not intended to clamp down on Internet freedom’’, as some crazy netizens have put it. On 4 January, Prime Minister Lee Hsien Loong sent a legal letter of demand to writer and activist Alex Au to remove an article which was allegedly defamatory of Mr Lee. Mr Au was also required to publish an apology, which he complied with. “You have views going to extremes and when people respond to their views, they may respond in an extreme way, and when people decide to disapprove of something which was inappropriate, the disapproval can also happen in an extreme way. "It's in the nature of the medium, the way the interactions work and that's the reason why we think it cannot be completely left by itself." Singapore dropped 14 places in a 2013 press freedom index published by Reporters Without Borders, ranking 149 out of 179 countries. The MDA said the 10 websites will fall under the new licensing rules from June 1, and that others will be notified when they meet the criteria. Online news sites must have individual licenses if they report an average of at least one weekly article on the island’s news and current affairs over a period of two months, and have at least 50,000 unique visitors from Singapore each month over that period, the Media Development Authority said this week. In another pathetic attempt to justify their incompetence - some will say outright deceit - MDA quoted the example of an article on the "Innocence of Muslim" video which they asked Google to block. Well, last we heard, Google still obliges if they think their content policy is violated. But it is doubtful they will act on the nebulous grounds that MDA is proposing. While Google may do no evil, the same cannot be said of MDA, or Yaacob Ibrahim. Latter should learn from the sixth point of the 10-point corporate philosophy of Google which says, "You can make money without doing evil." Even assuming that the policy makers had intended good - that they actually have an honest bone in their body, Muslim, Buddhist, Christian or other - they should be mindful of the potential harm they are inflicting on a future generation. Recall Marcus Antonius's speech to the crowd of Romans after Caesar was murdered ("Julius Caesar", Act 3, Scene 2): "The evil that men do lives after them; The good is oft interred with their bones." SINGAPORE: The Media Development Authority (MDA) said the new individual licensing framework for online news sites is not intended to clamp down on internet freedom. A day after announcing the changes, MDA said the new framework provides greater clarity on prevailing content standards in the Internet Code of Practice. It added that there is no change in content standards. From next month, online news sites with a significant reach will be subjected to a bond of $50,000. This has sparked some concerns that not all sites may afford to fork out the amount. – Tots of a Cynical Investor: Is this “Singapore news and current affairs”? – sparrows and sandcastles: why is “singapore” doing this??? Before we get into that mess let’s start with areas of common agreement. Happily we both agree that there needs to be more transparency. However Jeremy seems to accept the government’s own figures for its budget surplus which I most definitely do not. Our government’s budget figures are not set out in the format described as ‘best practice’ for governments by the IMF and in general use by advanced democracies worldwide. As a result our budget contains discrepancies which makes it impossible (even for me) to decipher and gauge true values. I first alerted Singaporeans to these discrepancies in 2012 here. HE MAY be only 26, but Singapore permanent resident Yoga Dirga Cah­ya hopes to run in the next Indone­sian election to become the first MP representing 4.5 million Indonesians living overseas. The Indonesian citizen’s candidacy was confirmed by the National Mandate Party, a party under the ruling Democratic Party coalition, last month. Hailing from Jakarta, Yoga came to Singapore at the age of 18 to study at Nanyang Technological University’s School of Biological Sciences, with the aid of an Education Ministry tuition grant. Permanent Residents’ Windfall – At What Cost? We noticed that a recent post on the Straits Times (ST) forum page pointed out a disturbing trend in our housing market. A reader wrote in to say: “While house-hunting in the HDB resale market recently, I came across a number of permanent residents (PRs) who were selling their flats as they were returning to their home countries or emigrating to other countries. While house-hunting in the HDB resale market recently, I came across a number of permanent residents (PRs) who were selling their flats as they were returning to their home countries or emigrating to other countries. A few property agents have told me they are seeing more PRs doing so. This brings me to question the true intent of some PRs when they buy HDB flats. Clearly, they stand to make hefty capital gains from selling their flats. Some become “instant millionaires” when they return home, especially to developing countries, after working in Singapore for several years. We are so rich as a country. In fact we are the richest country in the world on a per capita basis. No I am not complaining. You cannot complain about being the richest people in the world unless one is crazy. We are so rich, some becoming multi millionaires, millionaires or half millionaires, and we also have one of the largest national reserves to boot. I think the govt must be feeling very good, smiling at the statement of our reserves everyday. There is nothing wrong with this either. Why shouldn’ t the govt smile when we have so much money to spend and to buy whatever we want, including luxuries? Like all the rich tycoons, as a super rich, we have the spare cash to go for a little bit of the nice things to make us look good and feel good, buy whatever we fancy. We can have the things that are good to have but not really necessary. Why not, when we can afford them? A Mysterious Death In Singapore? 7 Steps to Get Happy Quick!